KaBOOM! 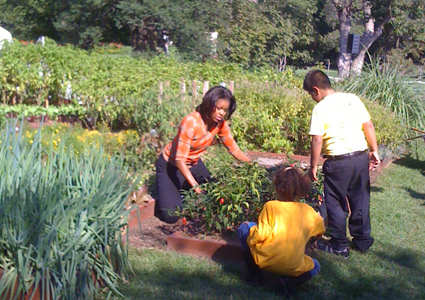 and First Lady Michelle Obama Attend White House Community Garden Harvest | KaBOOM! We have long asserted that playgrounds and gardens go hand in hand—they both nourish communities and help keep kids healthy. KaBOOM! 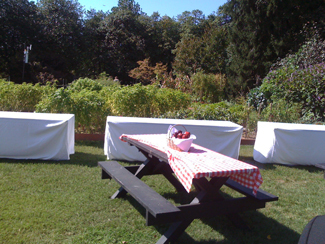 was recently invited to attend a fall harvest at a very special community garden—at the White House—with First Lady Michelle Obama, White House Chefs Sam Kass and Cris Comerford, Let’s Move Executive Director Judith Palfrey, and a few dozen local children. If you think your community doesn't have the resources to match the White House garden, you might be surprised to learn that the first White House planting only cost $200. 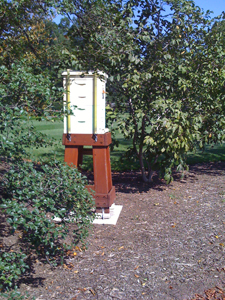 And the small bee hive (pictured below), which is tended to by White House carpenter Charlie Brandt, houses around 70,000 bees. Throughout the afternoon, we discussed the importance of both good nutrition and physical activity. Palfrey asserted that one of the most important things parents can do to help solve childhood obesity is to make sure their children get to "run and jump and play." 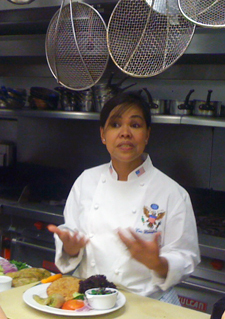 On the way to the kitchen, we passed the White House playground, which sits adjacent to the community garden, and then got some tips on good nutrition from Chef Cris Comerford (pictured above). Raising healthy kids isn't as difficult as parents might think. But as Let's Move and KaBOOM! both recognize, kids who grow up in "food deserts" and "play deserts" are less likely to have access to veggies and outdoor play opportunities. 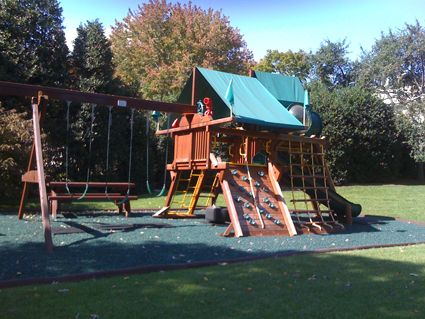 That's why, according to our motto, a healthy childhood "starts with a playground" -- and a community garden.